and you're looking for a special word? I have kept it pretty simple other than this with the title, some cut out foliage and heart clusters from the papers. Finally I have added some Prima & Kaisercraft flowers. I love this card, not sure if I'll be giving it to anyone lol but maybe! I used lots of elements from the Noteworthy Diecuts and bits that I have cut from the papers. Lots of layers in this one! Again I cut the sentiment from the 'Sunshine' paper. 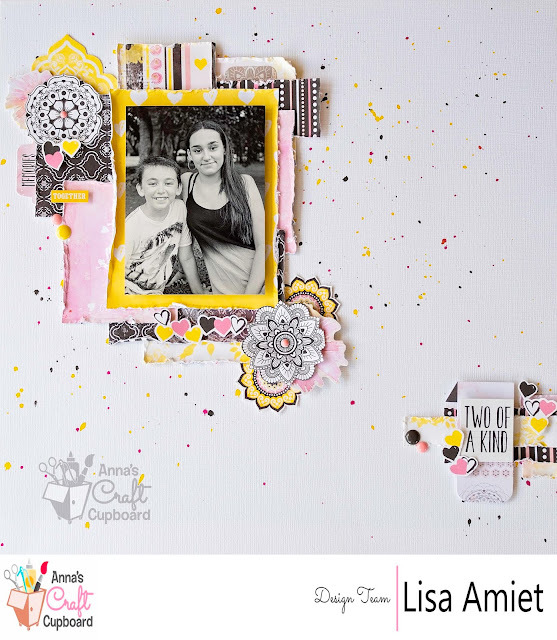 Layered with pieces from the Noteworthy Diecuts and bits that I have fussy cut from the papers. I've also used some gorgeous flowers from Prima and Kaisercraft. I really like how it turned out on the black background. I hope you like it too! 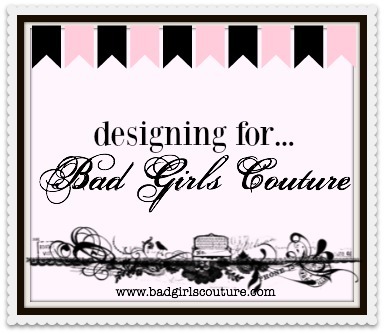 I'll be back with some goodness created from this lovely collection soon! I hope that you are well where ever you may be reading this from. I loved this collection on sight! 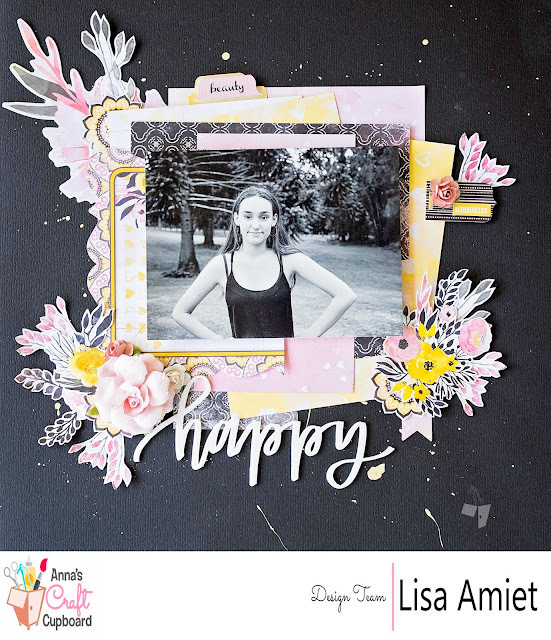 The mix of yellow, pink black and white and the gorgeous paper designs. 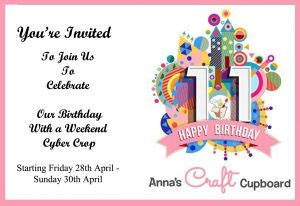 I have done a bit of fussy cutting with this collection. I have a process video on exactly how this layout came together. Thanks heaps for stopping by! I hope you find some inspiration to add some hidden journalling to your work. Be sure to enter it into the challenge. 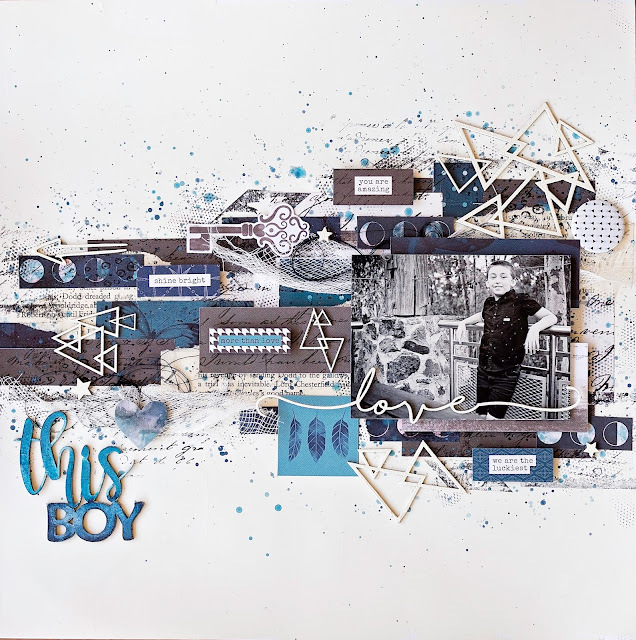 and this is my take :) I'm in this layout for a change, with my gorgeous boy! 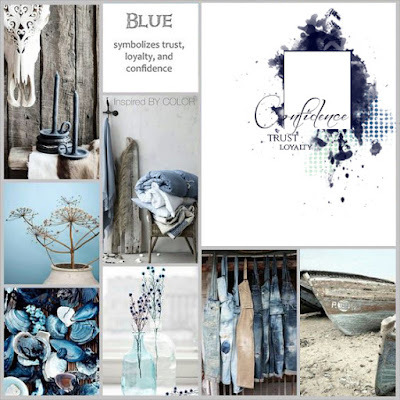 I was inspired by the mood board with its lovely beachy feel. 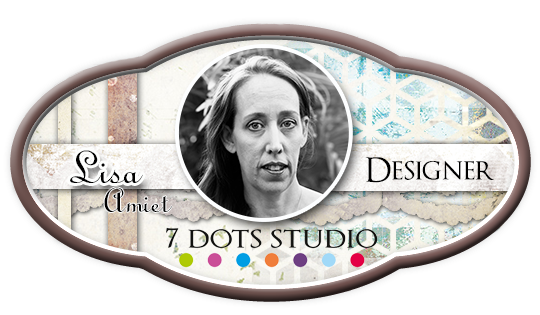 I have used the 7Dots Studio Verano Azul collection, that I won during a 7Dots flashmob competition on Instagram. 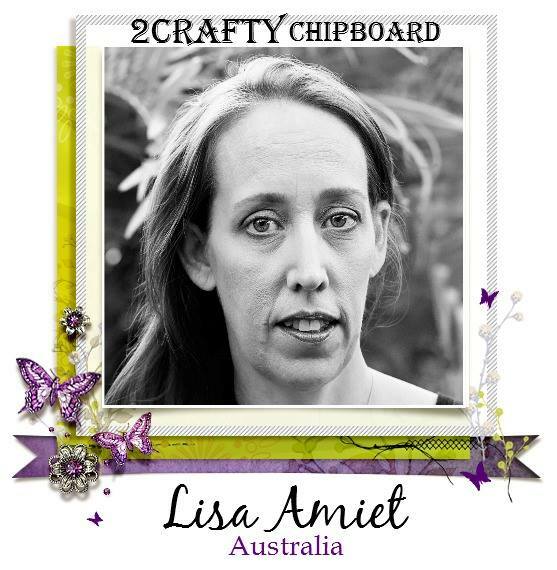 I have also used lots of gorgeous 2Crafty Chipboard, which I have left raw for this page. Thanks for stopping by and I hope that I have inspired you to create something today. I have used one of the "Fine Words Set 1" embossed in white, on top of my photo. And some of the 'Triangle Clusters Tiny' and stars from the "Tiny Hearts & Stars' scattered across my page. For my title I have used the stunning 'This Boy' title which I have coloured with watercolour paints to match my colour scheme. 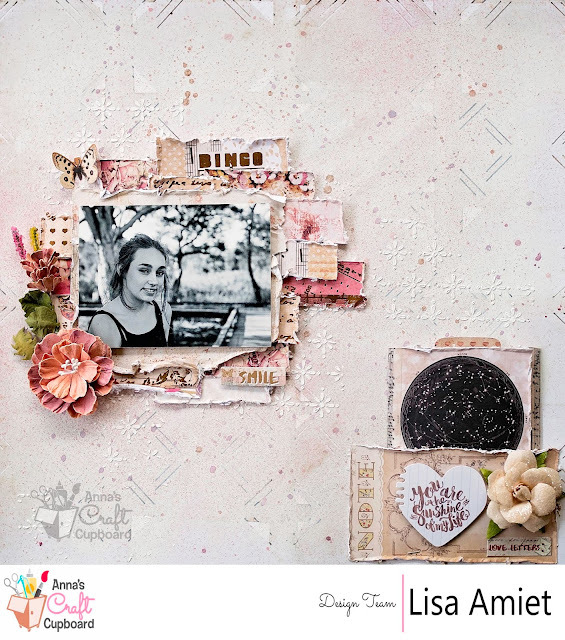 For this layout I used the Pink Paislee Moonstruck collection. I loved the dreamy feel of the papers. I had loads of fun with this layout and really love how it turned out, I hope you like it too! Thanks for stopping by, I'll see you again soon! Summer is finally drawing to a close, sad to see it go. 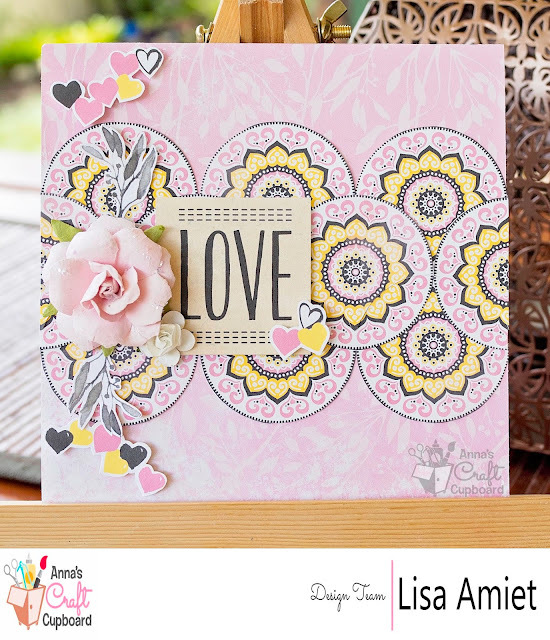 For this layout I have used the gorgeous Prima Love Clippings collection. I have used the stunning "Just love our Story" title, which has been embossed in white. which I have cut in half and placed in among my papers. and one of the 'Element Set 1' cut in half and added to my layers. I love how easily this layout came together. I have added a couple of pieces of the cute little 'Fine Heart Border' which has been embossed in a pale pink.